It's from the Mothers-in-Laws, Arden's and Ballard's short-lived 1960s sitcom. Oops. Our weather seems to be visiting the south-east. Been lovely here, but chilly. 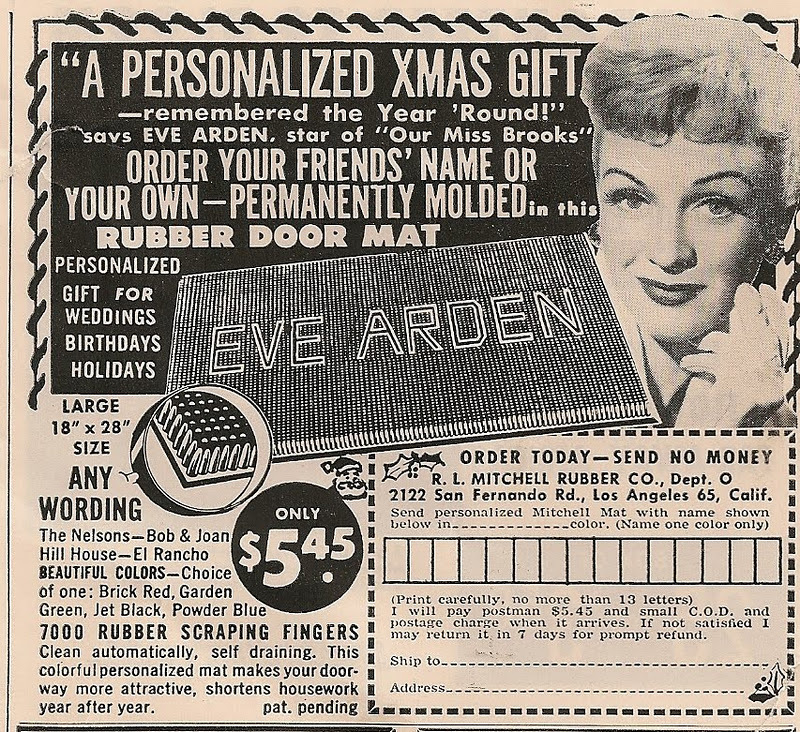 We need an Eve Arden door mat !